an Aaron's Bicycle Repair, Inc. Exclusive! Why make the drive side flange larger? 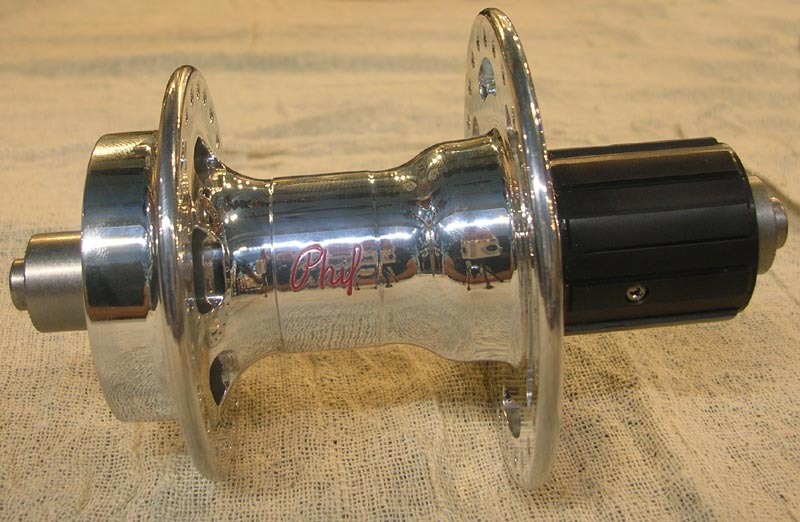 Modern hubs have so much space added to the right side with 8,9, 10 and now 11 speeds that the spoke angle on the drive side has become very steep. Using a large flange lowers the bracing angle and allows for a stronger build. Imagine a guy wire on an aerial antenna. One secured near the base does not offer as much support as one 30 feet away. The official name for the hub is G-Touring. The 'G' is for Goss: Aaron's last name since he designed it. You cannot get this hub at any other shop! Options include: Steel axle only (Phil says aluminum axles flex and cause premature bearing wear), 130mm road spacing, 8/9/10 speed cassette body. 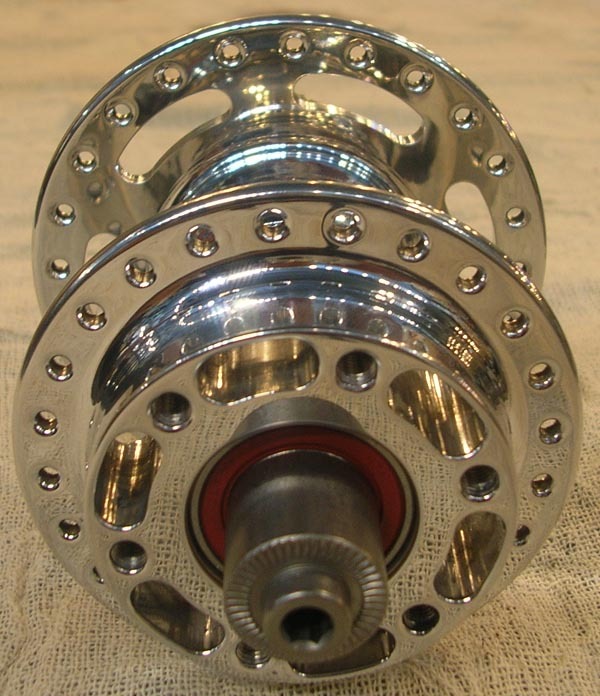 Note: There is no reason to have asymetrical flanges with a dishless rear hub (example: 145mm O.L.D. 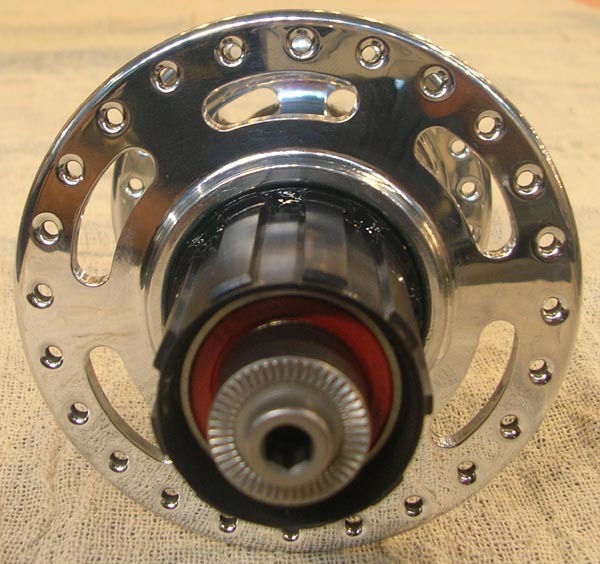 with a 7 speed cassette), but since no frame besides tandems use that width, we designed this hub for you. 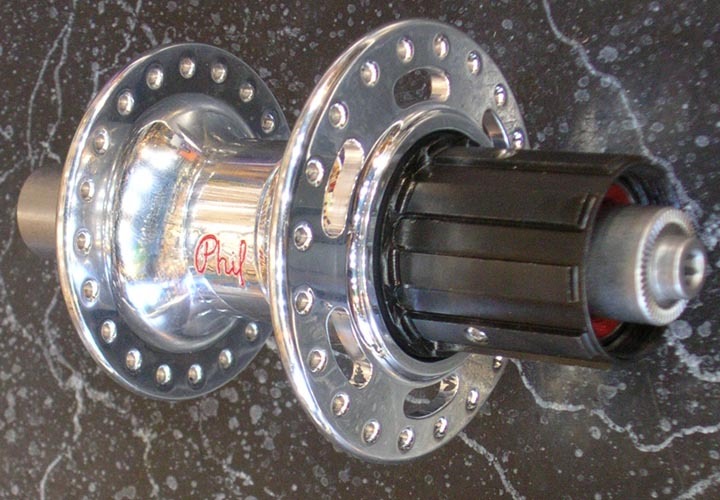 Below you can see Phil Wood's stock cassette hub design. It uses a SMALLER flange on the drive side. 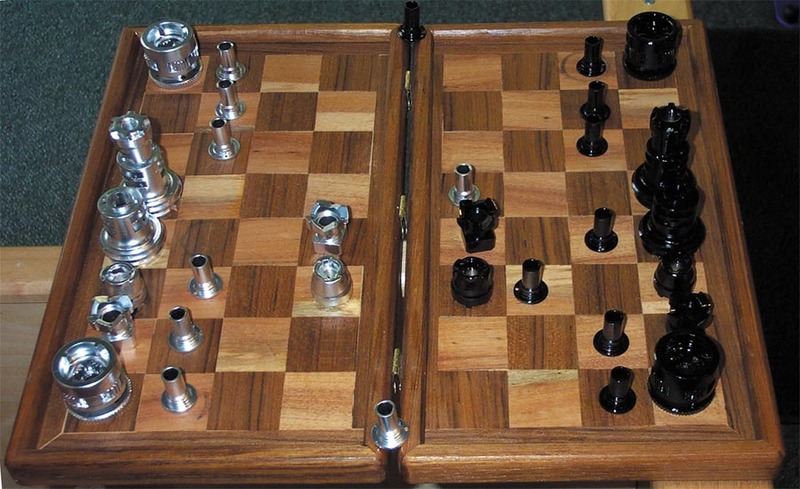 The only advantage here is that spoke length is the same on both sides. There is no strength advantage. Wheels built by a master wheel builder should be fine with this design, but why not make it better? So we did!